Recent research has found that nearly 27 million people are at risk of carbon monoxide (CO) poisoning, with 52% of respondents saying they don't have a CO alarm fitted in their home. Carbon monoxide is produced when heating fuels such as gas or oil do not burn completely. The most common cause of this is when an appliance, such as a boiler or cooker, is installed incorrectly or poorly maintained. Carbon monoxide can also build up when flues, chimneys or vents are blocked. When it comes to safety, respondents were almost twice as likely to fit a smoke alarm (86%) than a carbon monoxide alarm (48%). Window locks (69%) and double locks for doors (53%) were also more common than carbon monoxide alarms. On average, over 50 people die from carbon monoxide poisoning each year, with a further 4,000 receiving hospital treatment. Carbon monoxide poisoning can affect people before they're even aware, that's why a CO alarm can be a lifesaver. "It is worrying to think that over half of the population are not protecting themselves from carbon monoxide poisoning. This is a silent killer - you cannot see it, taste it or smell it. Protect yourself, and your family, by following the simple ABC checklist"
A. Do you have an ALARM fitted? B. Have you tested it and are the BATTERIES working? C. Have you had an up to date gas CHECK? Almost three in five people in the UK do not associate symptoms such as headaches, nausea, dizziness and breathlessness with carbon monoxide poisoning. Younger people are at most risk with just 17% linking the symptoms to this silent killer, and more likely to believe they're suffering from a panic attack (23%) or flu (21%). Your safety is our top priority. That's why we fit a carbon monoxide alarm with every central heating installation. As an added extra to protect you and your family, this is included at no extra cost to you. Enquire online or call us for your no obligation quote today. 'Carbon Monoxide Be Alarmed!' is a national campaign with the aim to reduce the number of deaths and injuries caused by carbon monoxide poisoning. 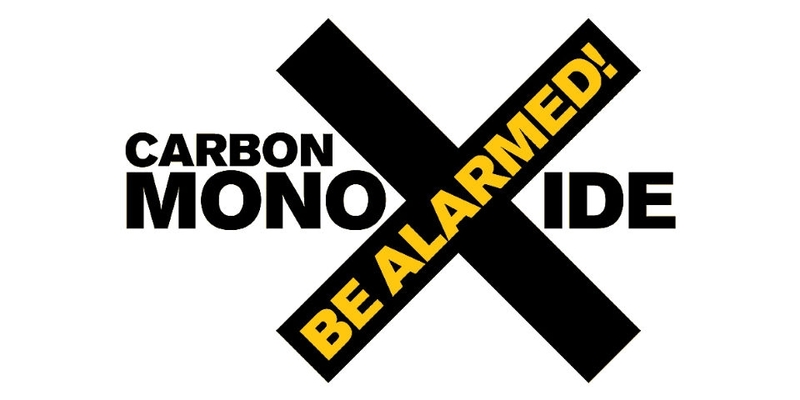 Launched in 2008, the campaign has encouraged people to install carbon monoxide alarms in their homes. Find out more about the 'Carbon Monoxide Be Alarmed!' campaign today!